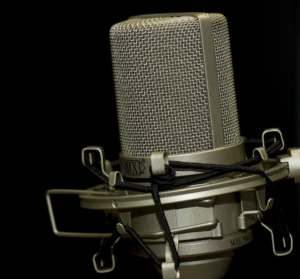 Audio Quality: the often overlooked aspect of business videos. Over 1 billion hours of YouTube content are watched daily, according to research by Omnicore Agency. YouTube is the most used platform. People like to entertain and show things to their friends. Businesses share their video content to advance their business. However, there is lots of stiff competition. Having good quality videos is paramount to attract more viewers. This includes having good audio quality for your videos. Several suggestions can help you to avoid producing videos with poor sound quality. Coming up with a high audio quality for your videos is essential when making your YouTube videos. Just like you would listen and review a music track, you can also do the same for your videos. Listen to it carefully on your computer, tablet, or phone speakers – or on various portable audio devices. This includes your headphones to make sure the final product is of high quality. To produce quality audio for your YouTube videos, you will need the right tools. The first tool is a good, high-quality microphone. Using a microphone as close as possible to the sound source allows you to capture better audio quality versus onboard mics on the cameras. Microphones come in different shapes and sizes, each having unique strength that is suited to capture better audio in a given area. Sometimes, using one recorder for both video and audio recording can create inconsistent input recording levels, resulting in distorted audio. It may also be awkward, trying to manipulate the controls all on one unit. Having a separate audio recorder for your YouTube video production work can help you gain quality results in your sound. Similar to controlling audio levels from a mic or camera, a digital audio recorder allows you to adjust the audio levels in a way your microphone can pick as much sound as possible without clipping too high. Also, with a digital audio decoder, you can use different microphones for different uses and enjoy greater flexibility when it comes to arranging your mic set-up. When editing your video, most video editing software mainly focuses on the editing of the video and less on sound. However, dedicated audio software gives you the power to edit your sound quality. The edits include removing background noise, clicks, crackles, pops and wind noise. Also, a dedicated audio software helps in removing 60 cycle hum (a nasty humming sound produced by AC power), low-frequency echo and switching noise that brings about undesirable sounds to recorded videos. Synchronizing several audio tracks (e.g. voice and music or soundtracks) can be a little more complex than merely adjusting levels of volume. Each track in your video will need different frequency levels and should be equalized accordingly to bring about harmonization. For instance, when you’re producing a documentary for your YouTube channel, you will want to ensure the soundtrack is not too loud – otherwise, it’s going to overshadow the commentary voice. With a proper EQ (Equalizer), voices can stand out, by minimizing the rumblings and prevent overly brightly audio segments, amongst other things. To master all these things mentioned above, you need to do more research and practice more to produce high-quality audio for your videos. You can confidently promote your YouTube videos when you know that you have high quality audio. Quality audio work can help to attract more viewers to your videos. The result is that you build your fanbase as more viewers get to subscribe to your channel.